Math, science, and typing games are common in great schools across the country. Have you ever wondered if “gamification” truly helps your child learn? You may remember Zoombinis, Oregon Trail, and early typing games like Jump Start. These were some of the first widely available computer games in the 1980s and 1990s. Since then, the eLearning market has experienced phenomenal growth around the globe, with estimates placing revenue from learning games at $107 billion in 2015 alone. While the potential value of eLearning is unmistakable, defining that value is the subject of ongoing research. Stepping back to the classroom, the University of Michigan School of Information surveyed 488 K-12 educators in the United States and found 90 percent of teachers believe games are effective for motivating students. A take-home point is provided by Douglas Clark, Ph.D., and professor of Learning Sciences at Vanderbilt University,“The research shows that digital games as a medium can be effective, but not always. Design is really what matters. Nobody assumes that all lectures, labs or books are good simply because of their medium." Just like textbooks, board games, and teaching methods — some electronic games are good, and some, not so much. While researchers dig deeper into what really works about digital games, you can feel confident your child is benefiting from game time if you ask these questions about the game before you buy or download it. Can this game help my child learn a skill? Typing games are useful inside the classroom and out. During class, some teachers use interactive games to allow students to compete and compare results, while strengthening their keyboarding skills. 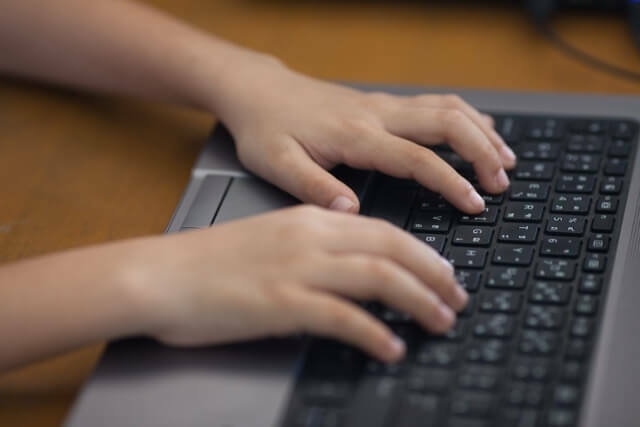 On their own, children can use engaging typing games to build muscle memory, boost hand-eye coordination, and enhance their familiarity with the QWERTY keyboard. Skill-building games can alleviate boredom, increase interest, and boost mastery levels. Is this a learning game — or just for fun? There are many reasons parents might be looking for a video game for their child — and sometimes it might be just for fun. Other times, the hunt is for a good learning game. When you are looking for eLearning, four suggested characteristics of a learning game include a challenge with fixed goals, sensory or cognitive curiosity, control or self-determinacy, and relevant fantasy that engages the learner. Does the game promote problem solving, collaboration, and creativity while remaining relevant? Some games have tons of bells, whistles, and cool side angles — but they may come up hollow for core content. Do your research before investing in any educational game. Whether it is math, science, or a fun typing game — finding the right eLearning solution that engages children on a deeper educational level is a good bet on your child’s academic future.